Each town and city with an important and deep-rooted flamenco tradition has its own idiosyncrasy when it comes to experiencing arte jondo. Places such as Jerez, Sevilla, Utrera, Málaga, Mairena del Alcor or Cádiz have a long and prolific flamenco tradition which forces them to preserve and nurture it through their public institutions (such as town councils and other local government agencies) and private entities (such as peñas, cultural associations, etc. ), the later with the additional components of entertainment and (ideally) learning. All of these towns and cities have their specific peculiarities (a high or low number of peñas, various types of aficionados, its artistic diversity, the disposition of its political leaders, etc. ), but also, in my opinion, rather strong similarities: a solid flamenco tradition; a small, divided group of aficionados (sometimes with opposing factions, and always very resolute and obsessive about their flamenco opinions); peñas trying to move forward facing enormous difficulties (financial, generational, etc. ); and a political class (the mayors and/or councillors in charge) which generally, despite generous public spending, is (with the odd honorable exception) uncapable of developing a sensible and coherent flamenco program, because they have no clue about this matter. The worst of all is that, on top of this, they believe themselves to be Kings or Queens of Flamenco in their respective municipalities, never listening to any advise or suggestion (and much less the smallest hint of criticism) from any qualified person beyond their inner circle of opportunistic sycophants who are solely focused on their own benefits. Puente Genil is no exception in this panorama. As a local aficionado, allow me to constructively, honestly and straightforwardly expose the situation of flamenco in this town. It’s a situation, like everything in life, with pros and cons, and I’ll try to dissect it as briefly as possible. 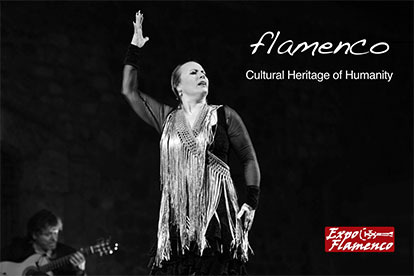 Let’s start with its flamenco tradition. The first flamenco news relating Puente Genil are from over a century ago, and they were about cantaores such as Niño del Genil, El Seco and Diego El Tenazas (who despite being born in Morón de la Frontera, is considered a local in Puente Genil). All of these cantaoreswere born in the last decades of the 19th century, sowing the seeds of everything that was to come next. From then on, one of the most important flamenco traditions in all of Andalusia (comparing with towns of similar size) has taken shape, having as protagonists characters such as the Hierro brothers (Juan and Manuel), Perico Lavado, Maestro Chicano, Antonio Ranchal, Jiménez Rejano, Frasquito, El Duende, Cortezas, Vicente Cáceres, Rufino Rivas, etc., with the main star being Antonio Fernández Díaz Fosforito, one of the greatest masters in the history of cante. This flamenco tradition is sustained in our days by artists of the stature of Julián Estrada and David Pino, and stirred by young talent such as Jorge Vílchez, Carolina López, Cortecitas o Álvaro Martín. Puente Genil is noteworthy not just because of its cantaores, however, as it also has outstanding flamenco guitarists such as Manolo Santos, Antonio Centenera and the young Antonio Cáceres, Jesús Zarrias, Mariano Delgado, Juani Lavado, Paco Moya Hijo, Rafael Ortega, Sisco Cortés and Víctor Serrano, all of them in different levels and playing distinct styles, nurturing our flamenco sound with their guitars. We must add baile to cante and toque. Even as Puente Genil has never had a famous, nationally-renowned bailaor or bailaora, it has several well-establish academies of baile, whose teachers perform a praiseworthy task, training hundreds of boys and girls. I’d like to highlight two young teachers/bailaoraswho, with a bit of luck, may develop a great artistic career: Rocío Moreno and María Jesús Cortés. Regarding flamencology and the intellectual dissemination of cante, which is such an important activity in this art, the name of Ricardo Molina comes to the fore. Others, such a the late Jesús Pérez, Emilio Pozo and Andrés Alcaraz have also educated and guided many youngsters in the secrets of flamenco, in different areas and in different ways. Nowadays we must watch out for Miguel Ángel Jiménez Valverde, who more than a year ago brought back to the history of this town and to the history of flamenco the memory of a forgotten cantaor (Antonio Sánchez Niño del Genil), and who will continue to undertake solid flamenco research. 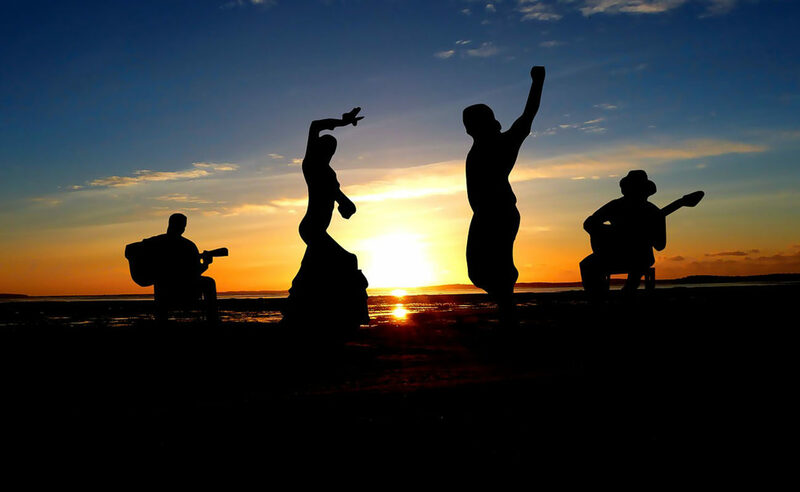 In the last few years, we were able to enjoy an educational program broadcasted by the Onda Cero radio station, called Aula Flamenca (Flamenco Classroom), now sadly extinct, and we have probed the internet with Puente Genil con el Flamenco, one of the first Facebook groups focusing on discussion and analysis of flamenco, besides being an open window to flamenco in Puente Genil. 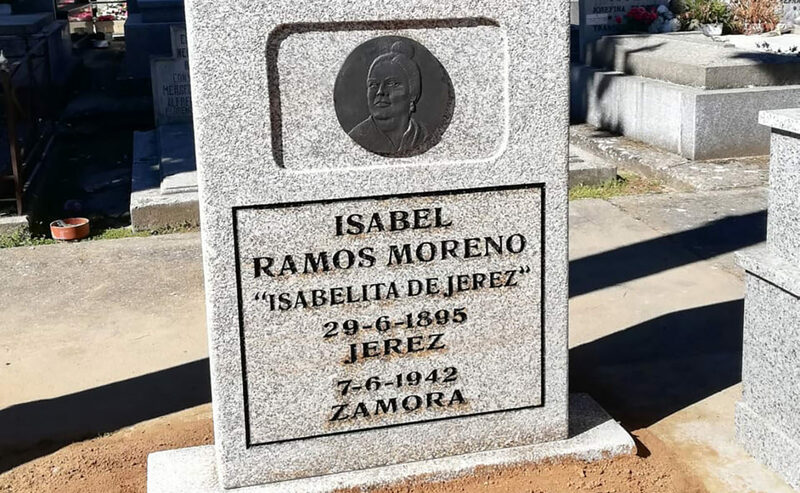 I can’t fail to mention two young palmeros, the Gamero brothers, who have compás running in their blood and currently accompany artists of the stature of Jesús Méndez and Antonio Reyes. 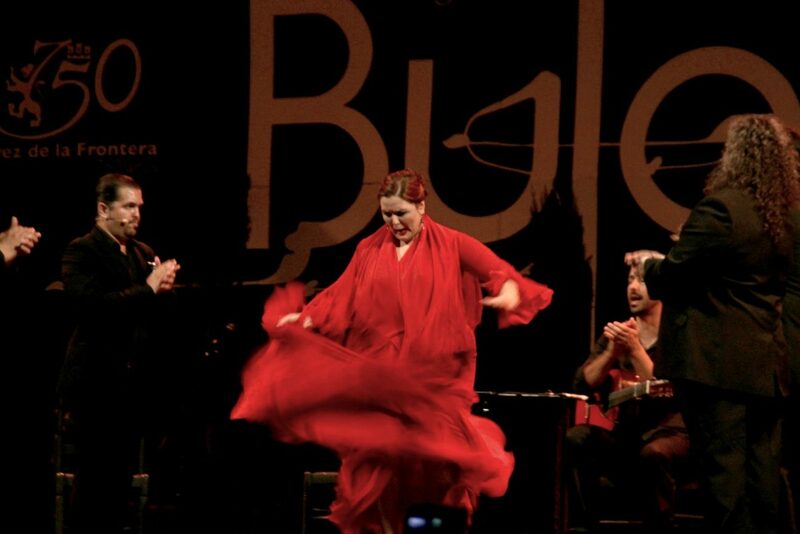 Concerning cantes, Puente Genil has contributed two styles to flamenco heritage: the Zángano flamenco and the Saeta Cuartelera. Regarding flamenco aficionados, Puente Genil is not very different than other flamenco municipalities: they are a diverse minority. 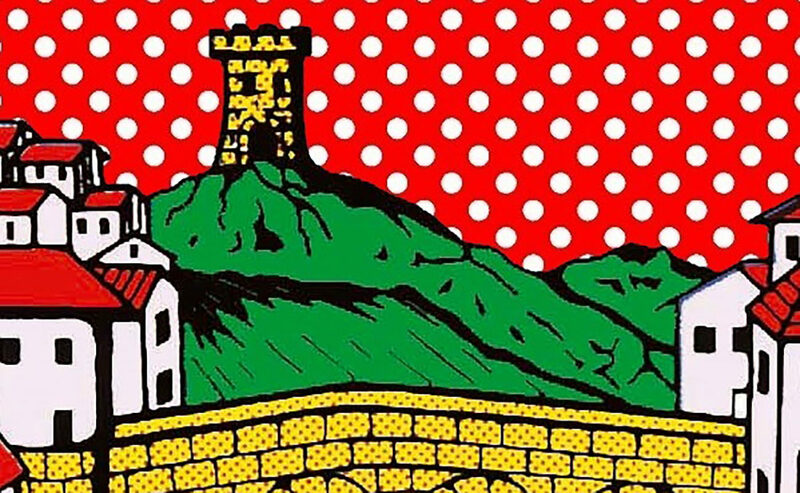 The only slight difference is perhaps its fragmentation, because it doesn’t have any strong association or peña, so the flamenco aficionados in Puente Genil are generally are scattered and numb. Like everywhere else, there are some very good aficionados, and others not so much, yet they all enjoy cante in the same measure. That’s about it, though, because the aficionados of Puente Genil, in general, are not big fans of lectures, seminars or bibliography reading.